The Brooks at Weatherford is a new wedding chapel and event venue opening this October, 2014 near Ft.Worth and just minutes from Historic downtown Weatherford. The Brooks at Weatherford’s tree lined entrance opens up to a 21 acre farm estate which houses a charming vintage chapel, and uniquely designed 7000+ square foot event venue. Known for commitment to excellence and unique design, Award winning Architect/Builder, Steve Heflin (steveheflinhomes.com) has captured classic elegance and rustic beauty in his design of the Brooks at Weatherford, creating an ideal setting for celebrating life’s significant moments and timeless events. Whether small or large event, wedding day or corporate gathering, The Brooks at Weatherford will prove to be a most beautiful place for your most special day. Chiseled rock, wrought iron, and antique wood form the Country Chapel’s courtyard entry. Stained glass windows, rustic gables, Teak wood doors, and 18 foot steeple beautifully appoint the chapel’s exterior. Inside, a breathtakingly beautiful setting of timber trusses, rustic chandeliers, and antique church pews set the tone for the reverence and significance of this day. And the piece de resistance; Arched picture and stained glass windows framing the tree covered hillside creating a most picturesque ceremony backdrop. A quiet, rock bordered brook, cascades along the land’s natural terrace into the pond between the chapel and reception venue lending natural beauty to the landscape, hence the name The Brooks at Weatherford. Guests travel stone and crushed granite paths to the Cedar Trunk Purgola entrance and covered gathering areas of the reception venue. Architectural elements such as Old World Stucco, ornate wood columns, Corrugated Metal, Reclaimed barn wood, Persian doors, stained concrete, and 12 ft rock walk around fire place, blend to create not only a beautiful place for a wedding reception or event, but simply a place everyone will love to be. *Both chapel and event center offer open air or climate controlled options eliminating the worry of weather limitations and allowing you to customize your most special day in this most beautiful place. Are you looking for a beautiful and unique venue to hold your wedding or next event? Are you interested in coming out to see The Brooks at Weatherford yourself?
. This event will be a casual, come-and-go open house event, with light drinks and refreshments. 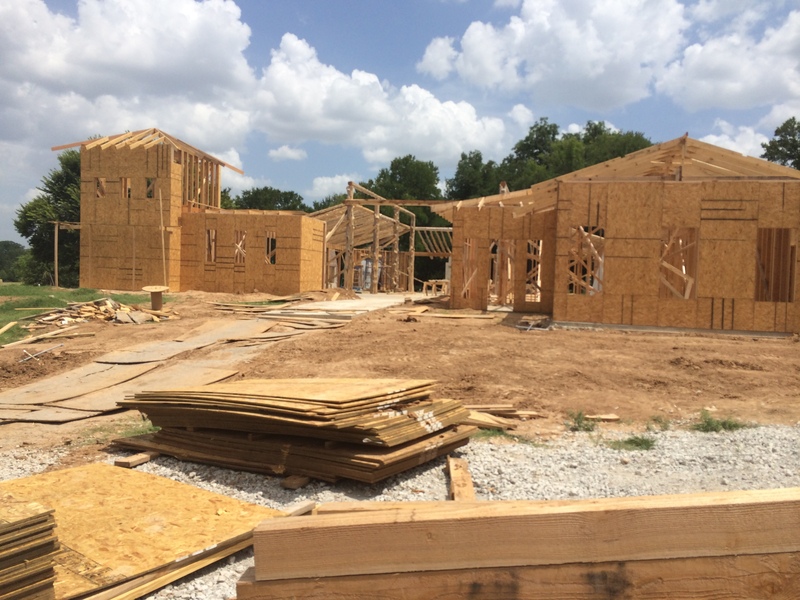 If you’re interested in seeing this beautiful sight for yourself by attending the pre-opening tour or scheduling a private tour, please contact the owner, Tricia Heflin, at 210-601-9196, or send her an email at tricia@thebrooksatweatheford.com. For more information, head over to their website here. My intern Alyson, who attends Texas State University, will be moving into her new apartment in a couple of weeks to start the new school year. Her transition inspired me to write the post about throwing the perfect house-warming party! Whether you are throwing one for yourself or for a friend, these tips will make it unique and fun for all your guests! Creative invitations: I love this idea of using a paint swatch as an invitation! Most of the time you can get these for free at a Home Depot or Lowes, all you need to do is write or paste the information on it! So cute and perfect for a new home. Alternative seating: If you’re moving into a small space such as an apartment or loft, don’t let that stop you from having a party! Stools, poufs, and pillows on the floor will create a comfortable space for people to sit and chat without standing around and feeling crowded. Keep the menu simple: Before your party, you’re going to want to spend as much time as possible making sure your new place looks perfect. You want to show it off! If you try to pull off an extravagant dinner, you may wind up with a messy kitchen and not enough time to clean up. 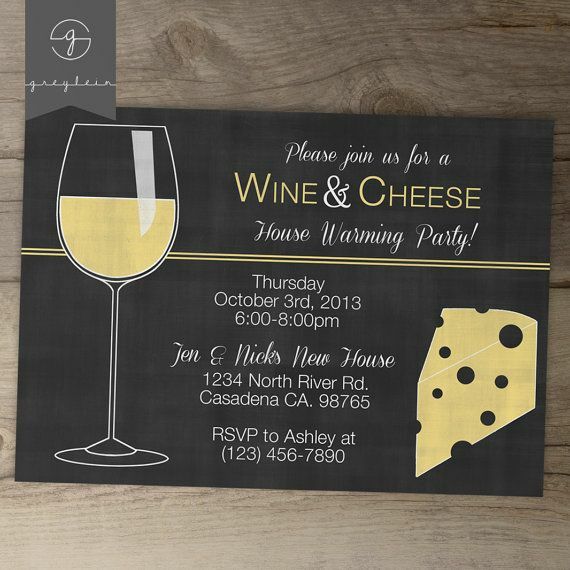 Encourage your guests to bring food, or throw a simple wine and cheese party! Classy, elegant, and simple. Practical gifts: If you are the guest and plan on bringing a gift, try to make it as practical and functional as possible. Moving into a new home can be a stressful and draining process. Flowers and candles are lovely, but a gift basket full of useful around-the-house tools are the perfect way to give a gift that is both appreciated and needed! If your budget is a little more flexible, consider opting for personalized wine glasses like these. They are functional, yet elegant and beautiful and will add the perfect touch to their new kitchen.